Big Fish Casino: Slots, Poker & Blackjack Big Fish Casino is a great casino game with an amazing sign-up bonus! 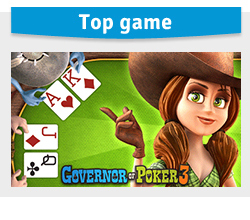 Join now and play amazing slots and casino table games! Jackpot Giant Casino Start the real Las Vegas adventure with the best all around slots experience! World of Warships Play the free Action MMO World of Warships and rule the seas with legendary historical military vessels! Bingo Multiplayer: Card & Board Get your bingo cards ready: It is bingo time all over the world! World of Tanks Join the team-based massively multiplayer action and command historically accurate mid-20th century tanks in battle! Call of War: Simulation & Strategy Win the Second World War using your most cunning stratagems and war tactics in Call of War!